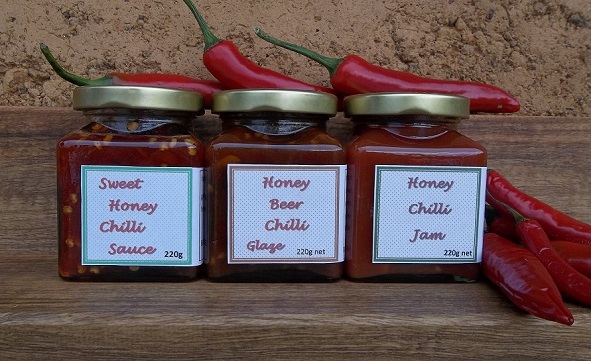 Honey Chilli Jam: Great with soft cheeses, roasted meats hot or cold. This one is not hot. Sweet Honey Chilli Sauce: Use as you would normally use your sweet chilli sauce. This one is made using honey, no refined sugar. This one is hot. Honey Beer Chilli Glaze: Glaze your chicken at final cooking stages, then pour hot sticky sauce over chicken when plated. This one is hot.